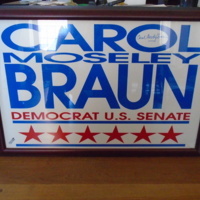 Poster for Carol Braun campaign for Senate run under the Democratic party . 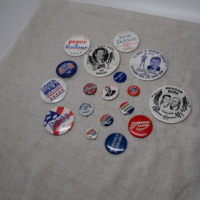 She represented Illinois in the United States Senate from 1993 to 1999. She was the first African American for the Democratic party.